Michael Brennan is an agent with the CIA. Officially, he isn't. If any could look at the Agency's books, which they cannot, there would not any record of Brennan being an officer with them. Brennan has the uneviable fun of being a career NOC, or non-official cover, which is a nice way of saying that if things go south, as they often do, he is on his own. Unofficially, though, he is very much an operative with the CIA and has been for a good number of years, enough to get a decent reputation as a man who gets the job done. The type of job might change from mission to mission but the style seemed to remain constant. An NOC got called in when nasty has hit the fan and the chance of cleaning it up slim. Luckily pulling off the impossible is something Brennan has gotten good at. Brennan came to the Agency in a traditional way - through the military. He got his degree from The Citadel in South Carolina and from there he went into the Service and got noticed, bringing him eventually to the CIA. Once it, he has become a valued asset and the man to be called upon. When not on assignment, Brennan enjoys keeping in shape by taking part in triathlons, a very important part of his survival regimen as he has learned the hard way that in the field, especially undercover, training and keeping in the kind of shape he must to stay alive is often either impossible or outside his adopted identity. So getting back into condition when at home is vital. Other than his devotion to physical training and a very friendly relationship with a lady used to his disappearing for long periods of time, the most telling thing we know about Brennan is how little we know. Brennan is a very private individual. The task handed Michael Brennan is to work with Israeli intelligence to stop ISIS from bringing the deadly Ebola virus to the largest city in America. China has perfected its space missile abilities to take out any American satellite it chooses. 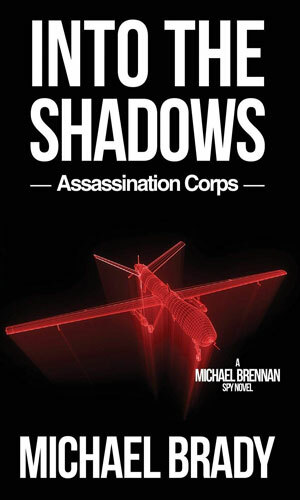 While some in the government want to use it as leverage in negotiations with the U.S., a secret group wants to do a whole lot worse and it is the job of Michael Brennan and an MI-6 operative to stop them. One very important note about the grade I give this series after having read the (as of yet) two books in it. It is not a bad one but also nothing impressive. YET. 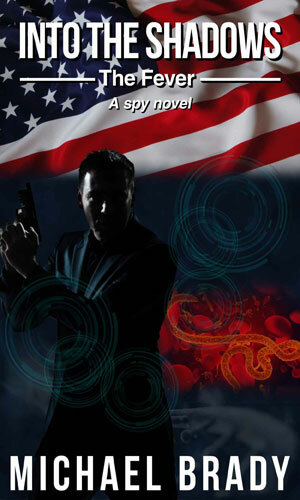 I really disliked the first book as being far more of a lecture-meets-textbook than an action spy adventure. So I was not exactly thrilled with the idea of opening the second. Boy was I surprised at how different the second was. It was really quite enjoyable and moved along quickly and solidly and gave me interesting and exciting bad guys, a couple of good supporting characters, and a plot that really made sense. So, a series I would have given a B- to after the first book, if that much, gets elevated to a B+ after the second. I am quite hopeful that the next book will continue the improvement.